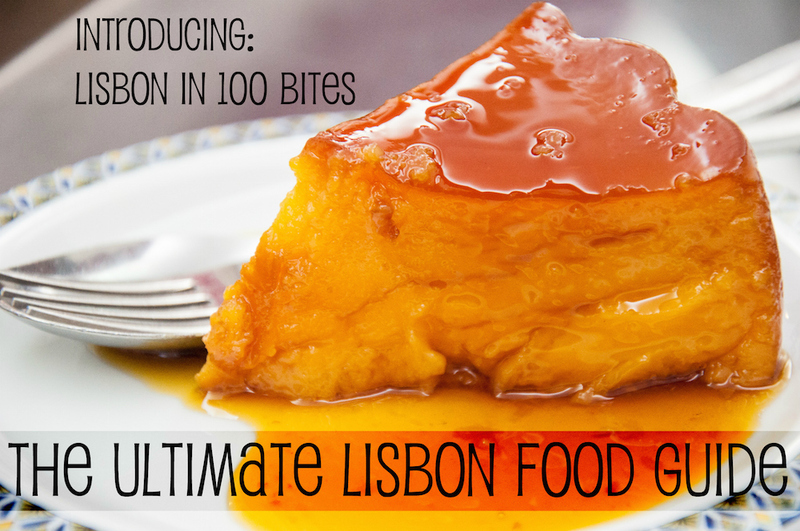 I am happy to share with you Lisbon in 100 Bites – The Ultimate Lisbon Food Guide! As a Portuguese traveler and foodie, I would like to guide you and your taste buds, during your upcoming trip to Portugal. Lisbon in 100 Bites is not a listing of “where to eat” but, instead, an introduction to those items and dishes that are representative of what you are likely to come across around Lisbon. If you travel to Lisbon and are eager to try the best dishes Portugal has got to offer, you may not always know where to get started. Fear not! Simply allow me to be your local friend who happens to love food, and I’ll show you around. 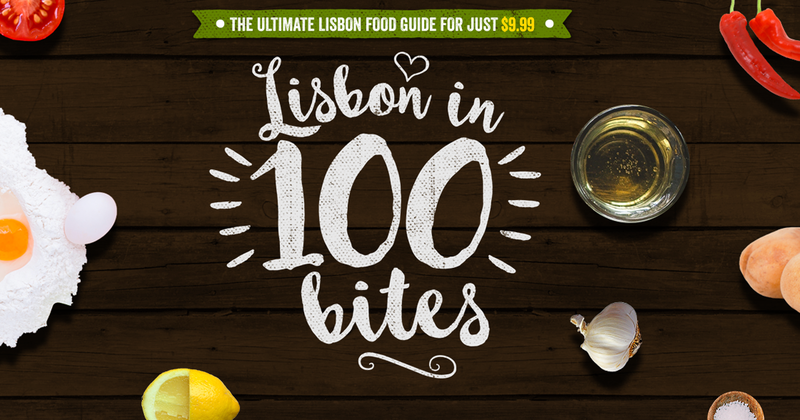 Divided into Appetizers & Snacks, Main Dishes (Meats and Seafood) and Desserts, Lisbon in 100 Bites contains everything you need to know to make the most of your foodie time while in Lisbon. This Lisbon food guide includes a little background on our most iconic dishes, along with mouth-watering photos that will get your juices flowing. 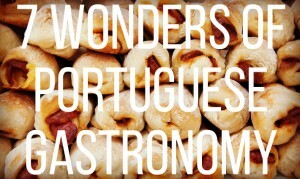 From well-known goodies such as Pastel de Nata and Seafood Rice, to those rare gems only locals truly know. Pork skin sandwich? A bacon dessert? Marinated pig’s ear salad? We’ve got you covered! 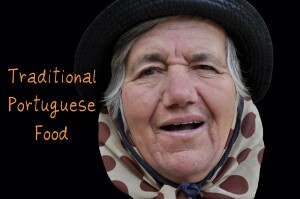 As a Portuguese traveler, I am proud to come from a country with what I believe to be a fairly democratic food culture. 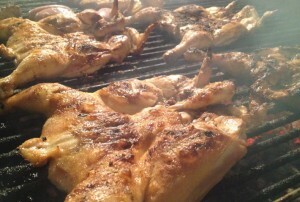 Our everyday dishes are not pretentious. They are down-to-earth and affordable for the regular pocket. We have amazing ingredients and a collective love for eating AND talking about food. 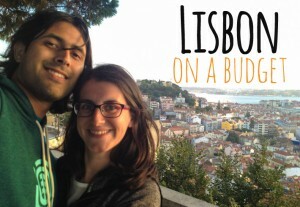 So, if you like food, you’ll easily break the ice with locals around Lisbon! You can enjoy a FREE preview of the book here! 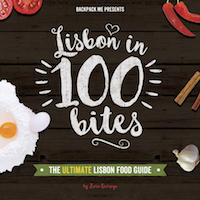 Uncomplicated and fun, Lisbon in 100 Bites will take you on a tasty journey around Lisbon! Get your Lisbon Food Guide now! If you’re wondering where to eat when you’re planning a trip to Lisbon, you’re asking the wrong question. The really important question to ask is what to eat, and this book answers that. One-hundred bites, my friends, one-hundred bites. Zara and her drool-worthy book are treasure troves of information for anyone interested in Portuguese food and food culture. Don’t be fooled by the title of this Portuguese food book. Although the focus is on Lisbon, many of the dishes in this handy ebook are firm favourites all over Portugal. Zara speaks of national delicacies with such enthusiasm and an appealing language that I think I gained a few extra pounds only imagining the elements she so well describes. Yay! So happy to see this guide, I really hope it helps people being more adventurous and trying more dishes! What a great work putting this guide together! It is very comprehensive and addresses every possible meal of the day. The lucid writing style makes it easy to read. The guide gives the right amount of information and does not overwhelm the reader. The pictures make it a visual treat and enhances the reading experience. 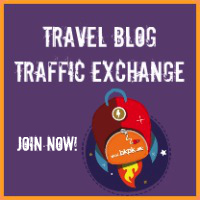 In short, a great guide with the essential information.Happy Travels! Thanks for such nice words about Lisbon in 100 Bites. Looking forward to getting my teeth stuck into this! Sir,it’s really awesome for me to know about the Lisban FOODIE…I have just completed my Master of tourism administration from BHU Varanasi..I am very passionate about traveling and explore the New destination that one is unexplored…..first I want to go through my own country than after world destination…….I want to be ur follower. My father spent a few years in Portugal and brought back some good dishes to add to his repertoire (And share with his kids). Can’t wait to try some of this out.